What Are You Trying to Explore? How Are You Going to Analyze Your Data? Use aim and scope to help craft your questions. Structure questions that flow effectively within your sessions. Craft questions that are open, non-leading, and unbiased. As you develop questions it’s super important to work closely with the folks who are most interested and affected by the results of this study—your audience. Get your audience engaged up front by having them provide feedback on your questions. Use their feedback to improve the questions until you’re ready to interview. Use these iterations to build stakeholder engagement in your project. Aim is the intent of your work—what you’re trying to find out. Scope defines who you’re researching and how you’re doing your analysis. Defining the aim and scope of your study helps focus the direction of your questions so your questions can be analyzed with ease. Let’s take a look at how each of these factors influence the structure—and eventual design—of your questions. As a researcher you’re trying to understand your users’ current experiences and their initial thoughts about new products and services. This means that your questions will need to ask about your users’ aims, motivations, their work, and how they use your product or service to get that work done. Once you’ve asked these background questions, you can begin to explore what works and doesn’t work in their current workflows. This exploration helps discover unmet needs and opportunities to make the overall experience better. You’re looking to discover what works well, what doesn’t, and what could work better. Building questions that bring to light challenges can help you gain insights into your users’ way of thinking. Whether users can easily identify and tell you what steps they're supposed to take with the product—namely the ones you want them to take. What their initial impressions are of the various parts of your concept. Whether they understand the changes that you're proposing. What their impressions are on how the screens flow together. In her 2013 book, The User Experience Team of One, Leah Buley describes the “Quick and Dirty Usability Test,” where you ask users what they see being presented to them and what they would expect to see as they progress through the designs. This approach enables you to see how the concepts you propose align with what your users expect. When you’re developing your questions, along with considering the aim and focus of your study, it is important to think about who you want to interview. In unit 1 we covered some aspects of using segments—also known as personas—to choose participants. Personas can be used to discuss who your key users are. A persona is a realistic character description that represents a particular set of your users. Personas can help identify, through conversations with your team, the users you decide to recruit for your study. Personas help with team dialogue and in making design decisions. In the UX Personas for Salesforce module you will get to know the Salesforce personas and how to use them. Qualitative data: It may be fairly straightforward to think about how you will analyze quantitative data. For example, you might use formulas like averages or differentials. But how will you analyze the qualitative data you collect, such as the notes on what your participants have said? Qualitative data is trickier to analyze, because you can’t simply calculate a result. Think ahead to how you’ll collate your notes and then categorize and analyze all your data. We’ll cover how to analyze your data in unit 4. Now that you’ve had the chance to think about the aim of your study and the type of users you’re investigating, we’ll tackle how to structure your session. Think of your interview like an hourglass. Start broad and general, then narrow your focus to specifics, then go broad and general again to wrap up. What are the biggest challenges you face with respect to your daily work? What do you think about the new/revised [topic of study] features in the app? Why do you feel this way? Before we go to the next screen, what do you expect to see? Why? How would you rate your experience (from 1 = very poor to 7 = excellent) with this design/prototype? How would you rate the usefulness (from 1 = not useful to 7 = very useful) of this new features/design? Do you have any further feedback for us? What do you think about these first two screens? What do you like about this screen? Having now seen the entire design, how much do you like it? This is a great start, but it could also use a second or third pair of eyes. Once the rest of her team has reviewed it, she’s ready to screen for bias. When thinking about the way your questions are worded, it’s important that they’re open and not leading. As you might guess, leading questions lead the person you’re interviewing into giving you a specific answer. Leading questions create bias. And the scary thing is, it’s really easy to fall into the trap of asking biased questions. A tip that helps avoid bias is to remember that you’re trying to get at what your users are thinking about. What do you like about this feature in the app? What do you think of this feature in the app? The first question might lead your user to provide only positive impressions that they have of the feature, while the second allows for both positive and negative impressions. The second is an example of an open question. You might also notice that the first question asks how a person feels instead of how they think.Emotion is really hard to analyze because it’s very personal. As you can now see, if a question is asked in a biased way, it can skew the responses you get, which leads to findings that are off the mark. And we definitely don’t want that! Looking back at her questions, Carla realizes that a couple of them might be biased (after all she is pretty excited about the design her team has developed!). She changes a couple of her questions. What do you think about this screen? Having now seen the entire design, what are your thoughts about it? 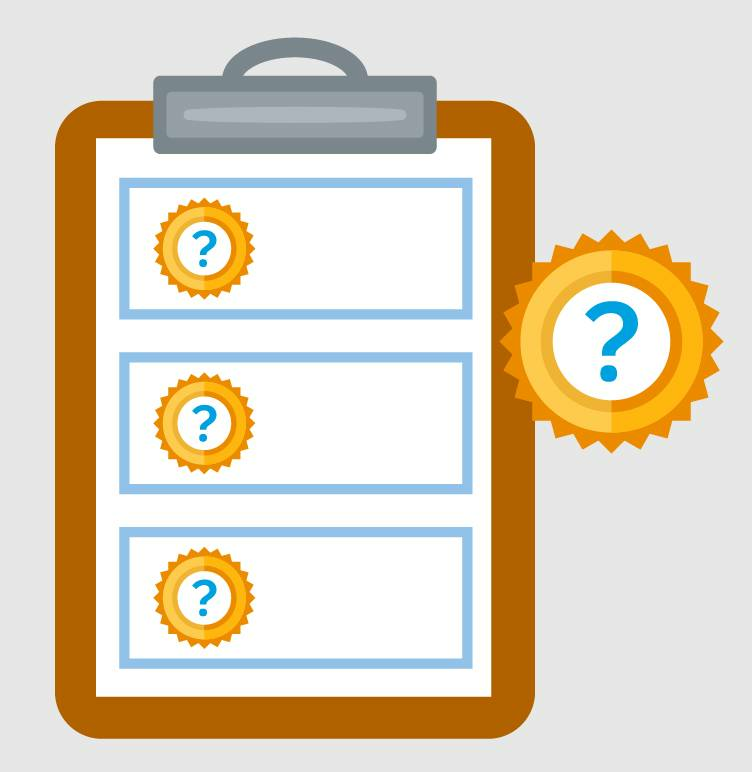 Check out the resources we’ve added that show great examples of which questions to use and which to avoid. The best way to practice is to find a volunteer within your organization to act as your user. Make sure you’re comfortable enough with this person to ask for constructive feedback on the experience, and give them information about the persona they’re embodying. Practice going through each question, let them answer, and time the dry run from start to finish. During the actual interview, some folks will be chatty. Ask your volunteer to answer concisely, and then pad your interview duration with 5–10 mins. Short precise questions tend to lead to short precise answers—use this strategically. Ask your important questions early in case you get a verbose user. Highlight the “must have” questions to ensure you ask them. Do your practice run early enough to adjust your questions before your first interview. 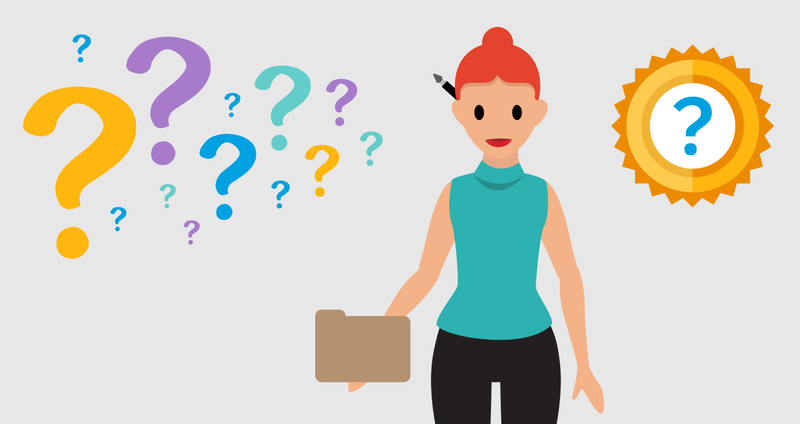 We’ve covered how to create your questions and how to structure your session. Next, we’ll look at how to conduct user research in a way that avoids bias and collects great insights. You’ll also learn how to interview your users about what they do and what they need. Exciting stuff! Buley, L. (2013). The User Experience Team of One. Rosenfeld Media LLC. Brooklyn, NY.